In India the tempting street food corners have managed to present nation’s diverse flavors at one place, connect hearts, and bring different ethnicities and cultures together. 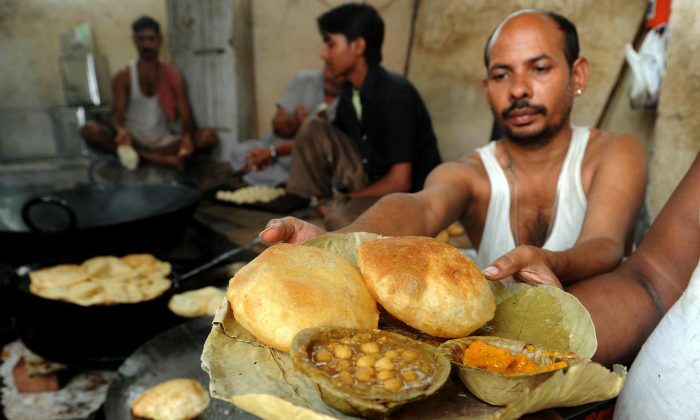 Indians’ love for street cuisines is ages old, as there are many streets named after the popular dishes and combos: like the “Paranthe Vali Gali” (The street of Pancakes) in the old Delhi area near the Red Fort. Parantha is a type of pan-fried stuffed Indian bread. In this street you can actually find century old small shops selling paranthas since generations and boasting of famous Indian politicians and celebrities who throng it often, besides the everyday visiting common man. According to Food and Agricultural Organization (FAO) study in Kolkata city, an average 1,000 calorie meal on street contains about 30 grams of protein, 15 grams of fat, and 180 grams of carbohydrates. Probably, this makes street food the least expensive means of obtaining a nutritionally balanced meal outside the home, at a minimal price. India’s ready-to-eat street food and beverages are prepared and sold by vendors, which cater to a huge chunk of Indian population irrespective of economic status. While the poor daily wagers take to street food for nutrition, the middle and rich class do so for taste. The street food catering to millions in the country every day provides regular source of income for millions of men and women, who otherwise are unemployed. There are big and small food enterprises in many Indian towns and cities which have their origin linked to humble street food points. Jeetu is the owner of a popular food corner “Gullu Chaat” in Kumara Park, Bangalore, which started from a street cart. His father migrated to Bangalore from Bareilly city in north India; to make a living he came up with the idea of selling chaat (a spicy and tangy Indian snack). “My father used to set his stand beside the children play area and pushed the cart every day from home. It was very heavy and difficult to push the cart every day for my father,” Jeetu said while recalling his hardships. However, their business flourished because customers loved the taste of their chaat recipe. His elder brother continued the street business for forty years, finally in 1989 they opened a shop. “Now we have larger space, a separate sit out for special guests too. Our popularity and goodwill from customers has honored us a lot. They come from very far off places just to eat chat here,” he said. Indian street food recipes are not only popular in the country but have done equally well in rest of the world—presenting country’s immense diversity as delicacies to savor. Additional reporting by Sunaian Velecha from Bangalore.